• Each team has a line to defend and attack. • The size of the field is the same as a standard 4 v 4 game, but it is turned sideways. 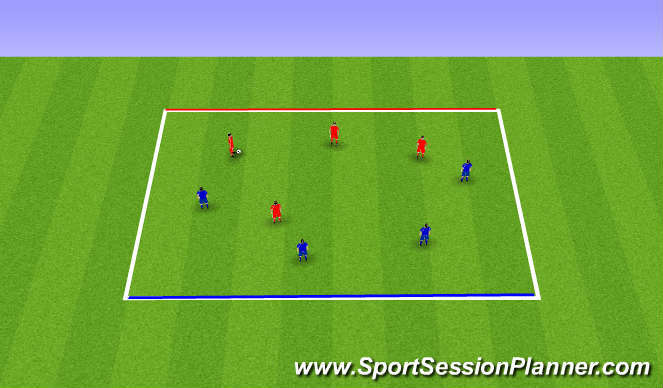 many good 1 v 1 situations which challenge the player&apos;s dribbling skills. development and execution of dribbling.